Are you on the hunt for a reliable and very handy stainless steel jaw-jaw swivel fitting? 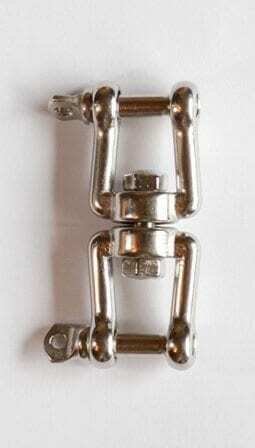 If so, you may want to browse through our large range of swivel fittings all available with us. This page is based on the swivel fitting which has a swiveling Jaw type fitting on each end. 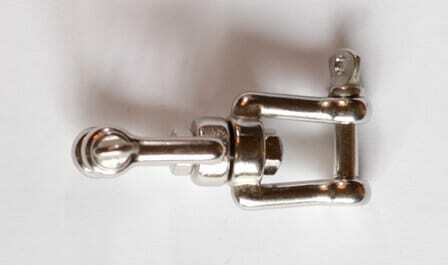 Jaw-jaw swivels are perfect when used in conjunction with a yacht rope for a variety of mooring, maritime and leisure projects. Made of exceptionally heavy duty 316 grade stainless steel, you will not have to be concerned about them getting rusted up or weakened, even when used in harsh weather and corrosive conditions. Sizes come in 5mm, 6mm, 8mm, 10mm, 13mm, 16mm & 19mm which means you stand a great chance of finding the size you want. Remember though that it’s vital to make totally sure you’ll be using the correct diameter of fibre rope or wire rope for the eye. For any lifting applications please look at our range of lifting shackles, these also make very good connectors. Rope Services Direct is happy to be able to offer jaw & jaw swivel attachments in a huge breadth of diameters from our factory based in Dudley. Particularly if you require the part for rigging, mooring or another new replacement job, this particular kind of attachment can also meet a variety of other project needs. To give RSD your jaw / jaw swivel(s) order, just fill out our quick e-form here and we’ll get back to you. Need more advice or to ask a burning question? Drop our friendly expert team a line on 01384 78004. Jaw-Jaw Swivel Fitting Overall rating: 5 out of 5 based on 6 reviews.